Brochures, printing and brochure design, production of booklets. As they say, a good dress is a card of invitation, a good mind is a letter of recommendation. The same can be said about brochures. Initially, people look at it and then decide whether to read it or not. And only responsible approach to production of VIP booklets will allow you to derive maximum benefit from the advertising material. Every detail is important – thoughtful style, combination of design and paper on which the booklet will be printed, use of finishing printing technologies (stamping on the cover, lamination and etc. ). And even method of binding the pages if it’s multiband. The variety of options for the production of booklets offered by us will definitely make you stand in front of a difficult choice. However, first of all, you have to decide to what contingent you are going distribute your brochures. If you participate in exhibitions, it makes sense to perform your booklets in two versions – small number of copies of VIP version for potential customers and usual for distribution to all who wish to learn about your services. If you don’t participate in exhibitions and use your booklets for distribution in your office. 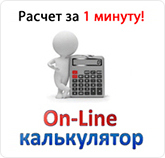 We recommend you to print average circulation of booklets using any kind of the finishes. So, lamination of the cover will significantly increase the lifetime of the booklet. In any case, you can count on the advice of an experienced manager who will offer you the best option. 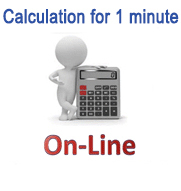 To your services, our unique, online calculator for the calculation of the order. Section: Brochures, printing and brochure design, production of booklets.